For many years already, Thailand is one of the most visited countries in the world with over 32.5million international guests visiting Thailand. In 2016, tourism directly contributed to Thailand’s GDP with 19.3% overall. In the MasterCard 2014 and 2015 Global Destination Cities Index, Bangkok was ranked number two of the world’s top-20 most-visited cities, just behind London. In contrast to London, Bangkok is much cheaper, and so is the entire country. The Pound is already powerful when paired against the Thai Baht. However, if you take an extra few minutes to find the best GBP to THB exchange rate, you can stretch your budget even more and buy THB from the best travel money provider. The above list contains the best travel money we found that you can buy Thai Baht from. You can compare their GBP to THB exchange rates and decide which one is suitable for you. If you still can’t find the right one for your needs, please look at the list of holiday money providers below. Are this the real GBP to THB exchange rates? As long as the above listed merchants didn’t do any drastic changes in the last hour, we’re pretty sure they are. Our feed updates the rates hourly and that’s why we can’t be 100% sure that, when you’re reading this article, those are exactly the rates. In order to be sure, we advise you to go to your desired broker and check them out. 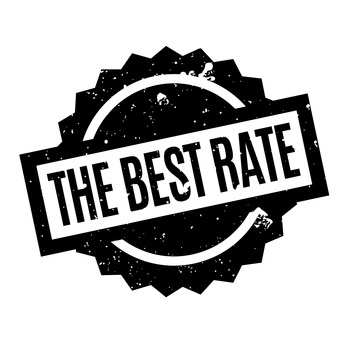 Take a look, see who is providing the better rates, and do a second check on their website. That’s why we feature so many providers, so you can choose the best deal for you. Travelling to Thailand – How Much Does It Cost Compared to the UK? A meal at a normal local restaurant would cost you 90% less than in the UK, which is about £1.4 (versus £12 in the UK). A 0.33 litre bottle of Coca-Cola would cost you only £0.43, less than a half of what we spend in the UK. Do not make any extra effort walking around. Use a taxi. It costs more than 70% less than in the UK. Shopping in a chain store is a very cheap option. In general, A trip to Thailand would be very cheap. The flight can be expensive if you do not book it in advance. Looking at the cost of living comparison between London and Bangkok, you will see that the Thailand is so cheap compared to the UK. Assuming you rent in both cities, to maintain the same standard of living, you will need just half the money that you spend monthly in the UK. Phuket – Blue lagoon with beautiful sunsets, popular beaches, diving and snorkelling. This is a perfect place to experience the beauty of Thailand. Ko Samui – Discover the fascinating Mu Ko Ang Thong National Park or just lay down in one of the very popular beaches around this wonderful island. 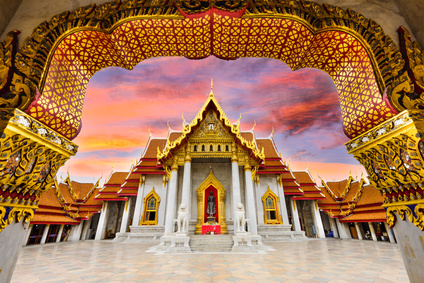 Bangkok – A marvellous connection between the Buddhist spirit, a culinary experience, and a well-developed city with unforgettable nightlife. Chiang Mai – A place where you can find sacred and religious sites along with nature and ancient ruins. There are many outdoor activities as well. It was our pleasure to provide you, travellers to Thailand, who want to find the best Pound to Thai Bahts exchange rate, with this thorough guide. We believe that given the hard work we are doing to update the content and quality of this site; our audience will be able to learn which is the best travel money provider for one’s needs. Please do not forget that being the best provider now to buy Thai Bahts from does not mean that we will stay at this place all the time. It is always worthwhile to check and compare the GBP to THB exchange rate every time you are going on a trip. Then, you will be able to buy Thai baht at a relatively low rate and save some money. Connect to the magic of Thailand and stay safe!